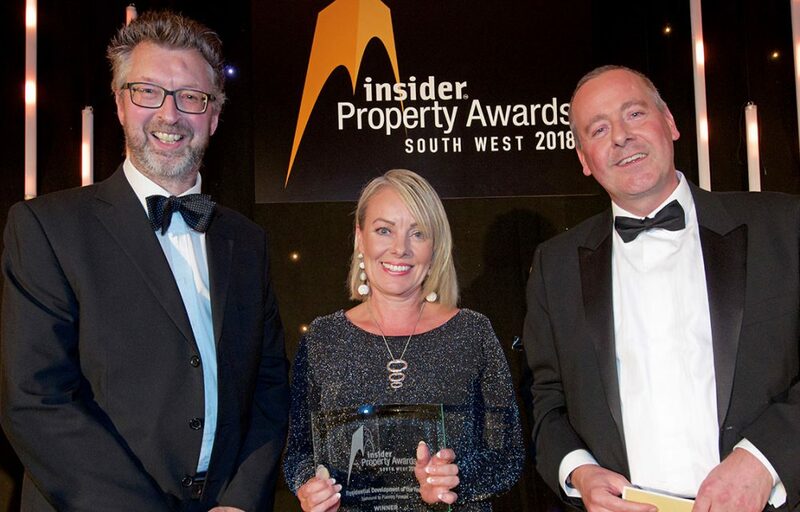 We’re delighted to announce that Paintworks III has won Residential Development of the Year at the Insider South West Property Awards 2018. A former Victorian paint and varnish factory, Paintworks has been undergoing renovation for the past decade. Phase III saw us deliver housing and a mixture of live/work units, meeting Crest Nicholson’s brief of creating one of the most inspiring places to live and work in Bristol. It’s great to see the Insider Awards judges appreciating Paintworks Phase III as a unique, mixed-use development in Bristol. Won as a limited competition with Crest Nicholson SW, Paintworks Phase III has delivered our ‘BIG’ design concept for this site. Sales have been fantastic and the scheme has progressed much more quickly than envisaged to keep up with demand. The community is growing and feedback is very positive from people living and working there. I hope we can build on this mixed-use design model with future high density schemes. The Insider judges were particularly impressed by the placemaking of Paintworks III. The entire development is constructed on a podium, allowing a network of pedestrianised streets, alleyways, public plazas and courtyards, with car parking hidden away underneath. To build on Paintwork’s character, design cues were taken from the existing development, including materiality and vibrant colour that shines through at every corner. Street furniture encourages residents to venture beyond their front doors and meet each other. In the centre, a plaza can be used for markets, open-air cinema screenings and day-to-day amenity space. Unlike standard residential estates, merging work and home has created a community of creatives. This mixed-use development is symbolic of a shift in urban design; a people-first approach for inhabitants to live, work and play. Congratulations to Gary Milliner and the project team – a well-deserved win!